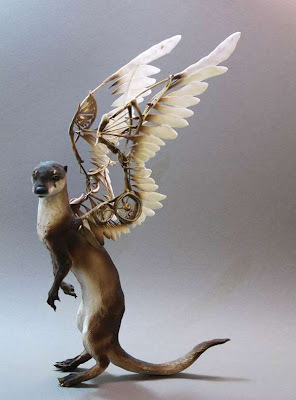 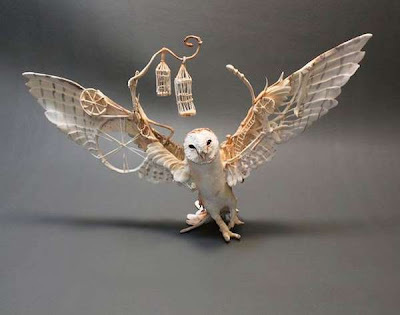 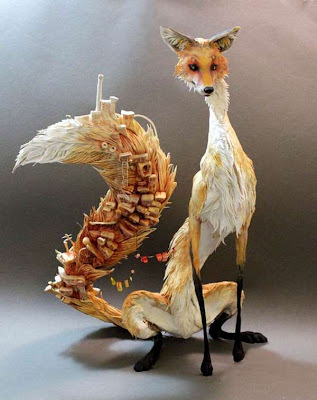 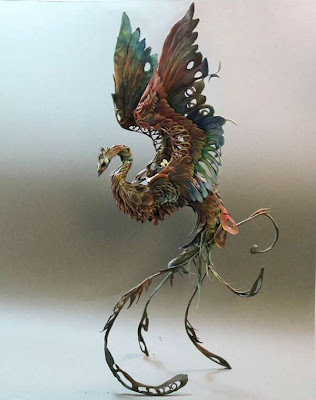 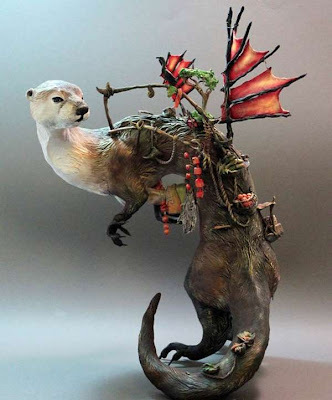 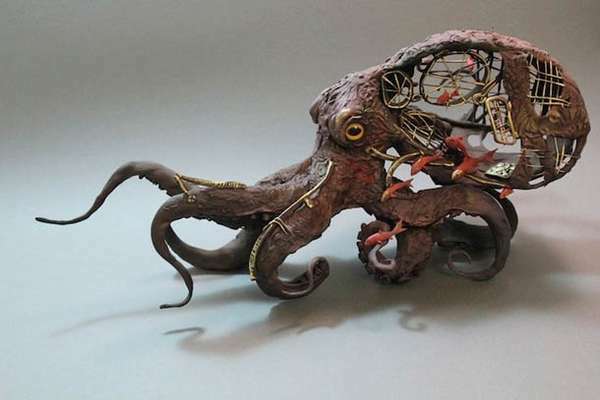 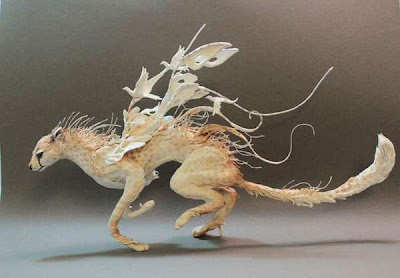 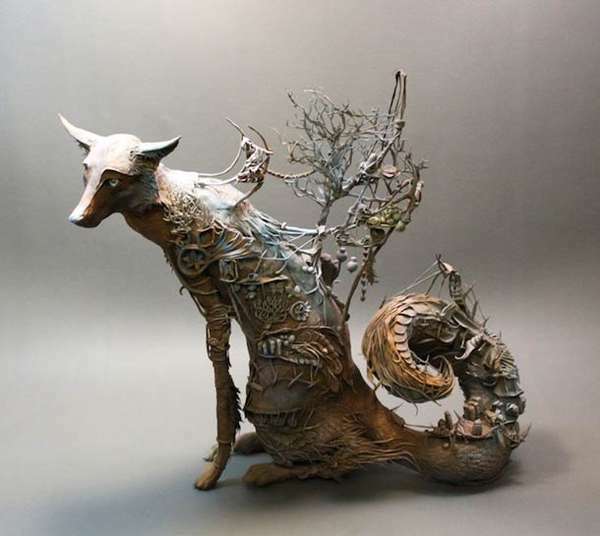 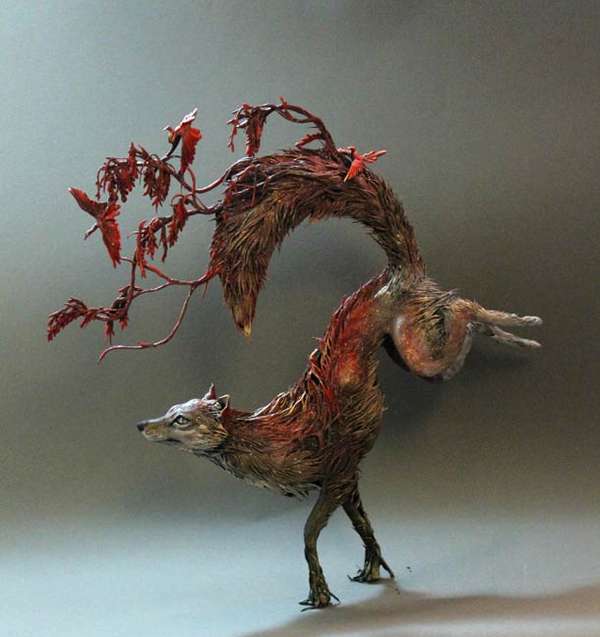 Ellen Jewett's animal sculptures are some interesting artwork seems to get inspired from fairytale. All these sculptures are created using clay, hair and fur combined with some interesting elements to get an impressive and imginative form. 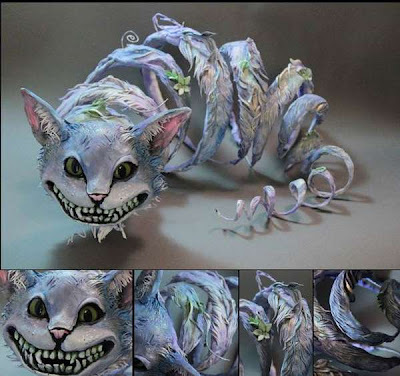 Cat, owl, fox, octopus and warthog are all transformed into an unknown beast coming straight from an unknown world.